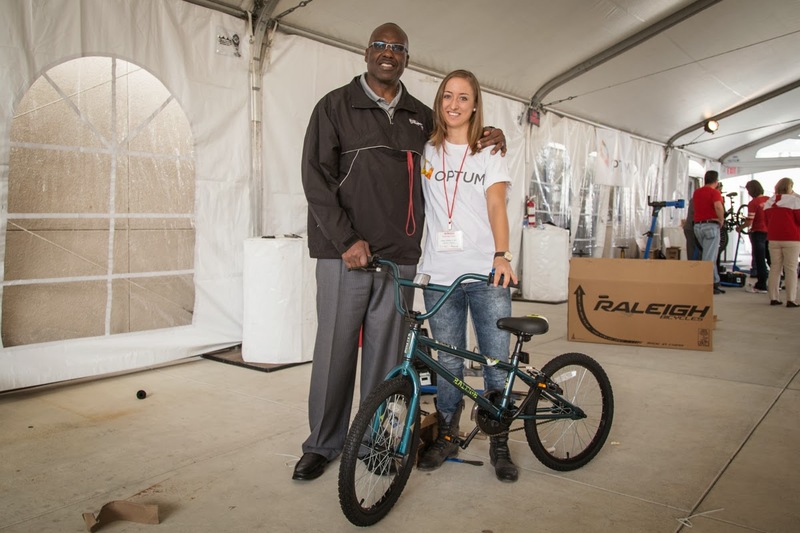 Last week I had the amazing opportunity to build bikes with the San Francisco 49ers down in sunny California. It was a very fun event, and a nice break from training. 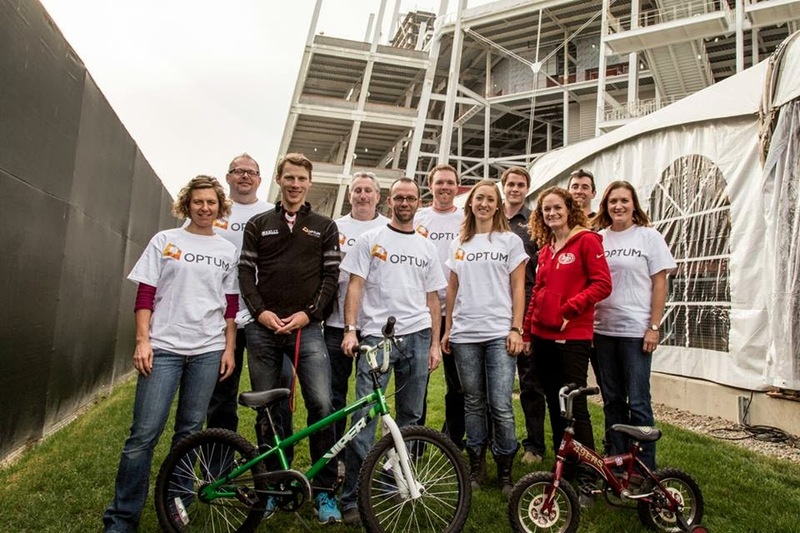 For the event, Optum partnered with both the 49ers, and Turning Wheels for Kids, an organization that build and provides bikes to under served children. 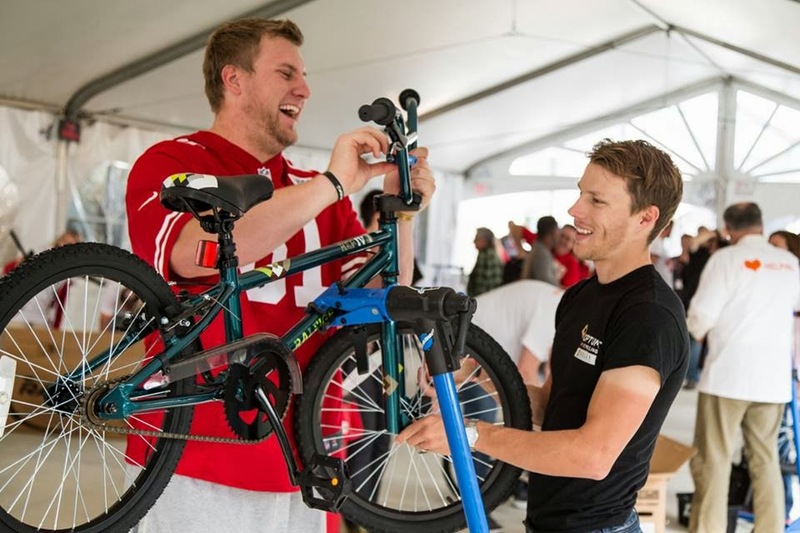 The first day, we actually built the bikes at the 49ers training facility in San Jose. Various alumni and current players dropped by through out the day to help out. It was pretty funny to compare the size of these guys to the cyclists in the crowd! 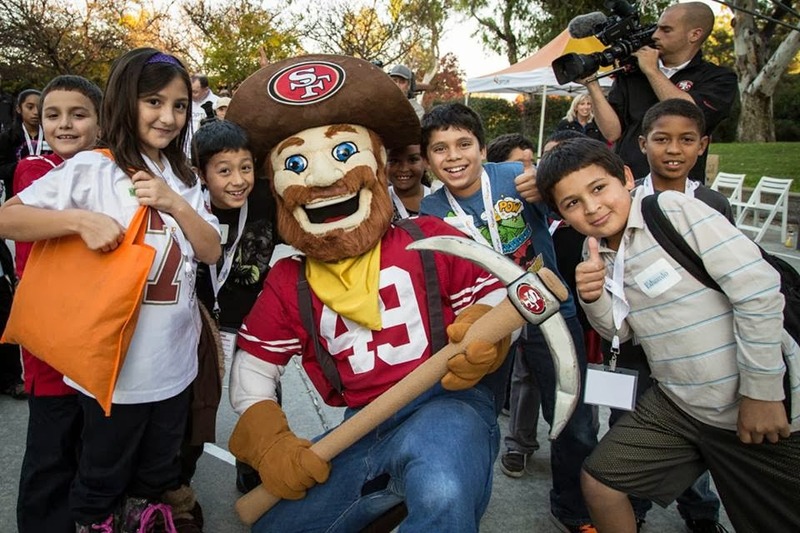 The next day was even more fun, when we got to surprise 49 kids with their new rides! The kids were all part of a group called EHC Lifebuilders that helps out families in the Silicon valley. There were some incredibly excited faces in the crowd when the surprise was announced. 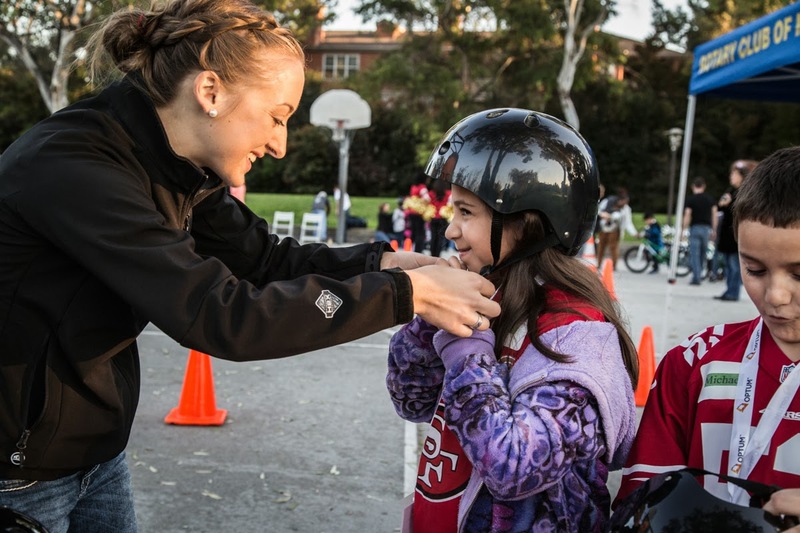 We set up various stations set up for kids to get accustomed to their new bikes. They practiced hand signals and stopping, decorated their new helmets with stickers, practiced using their new bike lock, answered some cycling and football Q and A, and even played a bit of football! It caught me off guard that some of the kids didn't actually know how to ride a bike. I had never taught anyone before, and found it rewarding to witness the transition from frustration to joy with more practice. I hope these bikes can offer the kids the same feelings of freedom and empowerment that I get from my own bike. Another blog post is coming soon as I just finished up two awesome days at the Clif athlete summit in San Francisco!